This is a gift to my fiance,Tim. His birthday is soon,the 20th of April to be exact,so I made him this little piece. It took me 6 hours to make. 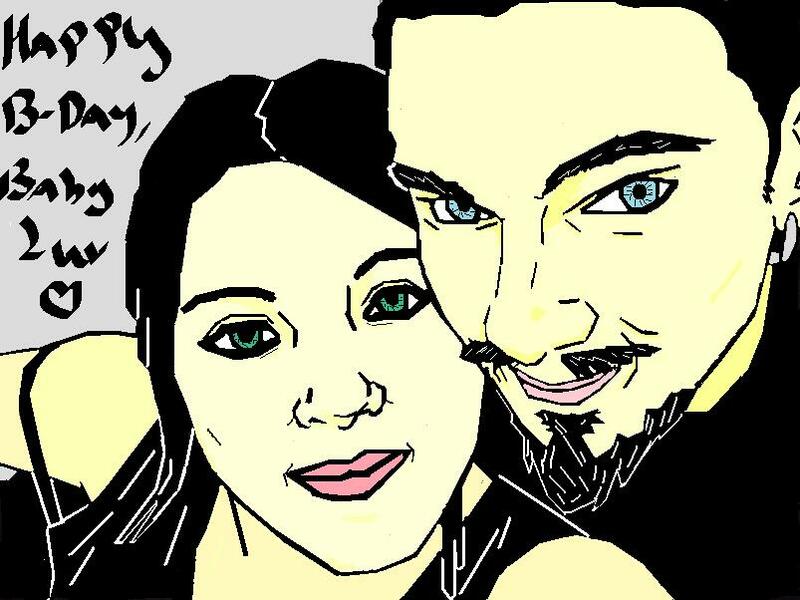 I used a pic of the two of us and traced over it in MS Paint. I like how it came out a lot. WOW this is really good, probably the best art with MS paint I've seen in a long time.